Listen up Kit-kat lovers! You may already have heard – or have tried – the new innovation that Kit-Kat brought to the chocolate and snacks world: the toastable kit-kat. Just put them in the toaster (NOT the kind that bread is dropped vertically), and the surface will grill up a good smell. That is already awesome for me! BUT Nestle Japan didn’t stop at that. Since January this year, it has launched a chocolate specialist store in the B1 floor of Seibu-Ikebukuro department store called “Kit-Kat chocolatory”. (Or I think that’s the English spelling) To prepare for this coming summer, it is about to launch a new menu – chocolate soft cream with baked Kit-Kat – from May 8th. 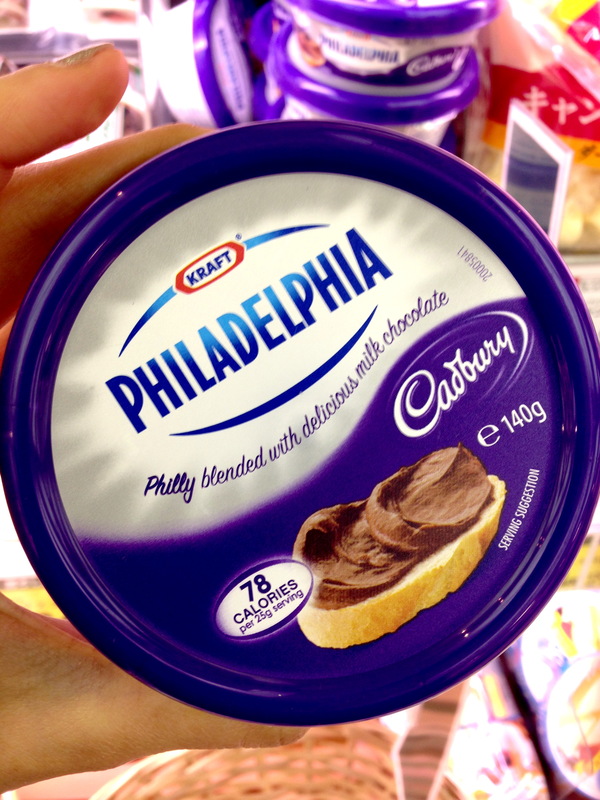 Apart from cocoa power, the soft cream is to be made from original chocolate with more than 72% cocoa. The accompanying kit-kat would be the Pudding flavor which would give out the caramelized sensation once baked. This new menu would be available everyday from 1 PM, only 300 units per day, priced at 600 yen. 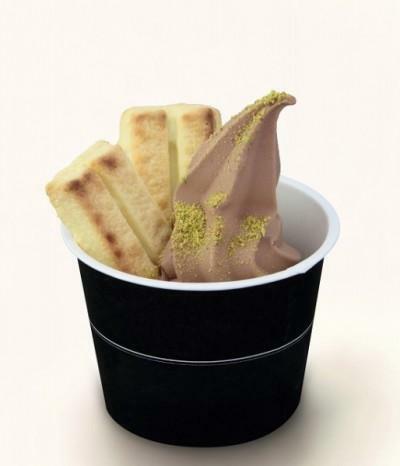 Not only soft cream, but the toastable Kit-Kat attracted another well-known chain cafe like WIRED CAFE, Napoli Pizza、Strawberry cones、Moriva coffee to create a collaborated menu! 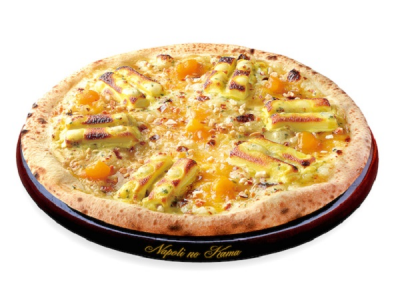 From March to August, our Pudding-flavored Kit-Kat would be incorporated with mango as the topping of pizza at Napoli Pizza. At WIRED CAFE, Pudding kit-kat is mixed with granola, fruits, cheese cake, and vanilla ice-cream to give rise to “baked Kit-Kat ‘cara-melted Sundae” from May. From April to August, Pudding kit-kat with mango makes its place on the Strawberry cones’ dessert pizza special menu . It can be enjoyed cold as well as hot! And only until this 10th of May that you could enjoy the Kit-Kat sundae, with softcream, crunchy kit-kit and anglaise sauce at Moriva coffee! Posted in Go eat here! Just open in November last year, Max Brenner flied over to Omotesando Hills all the way from Israel, introducing Tokyo to a new way of enjoying chocolate. Haven’t you heard? 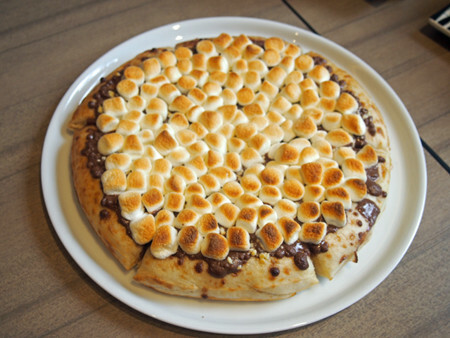 Now we eat chocolate on Pizza!! 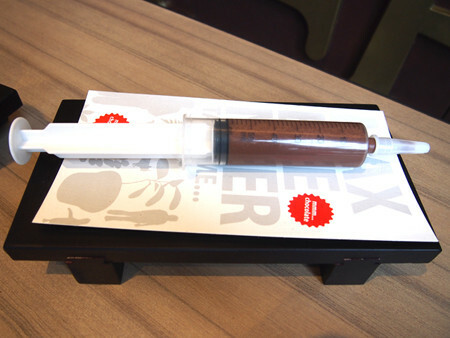 Another interesting chocolate treat that I’ve never seen before is this: Chocolate syringe!? 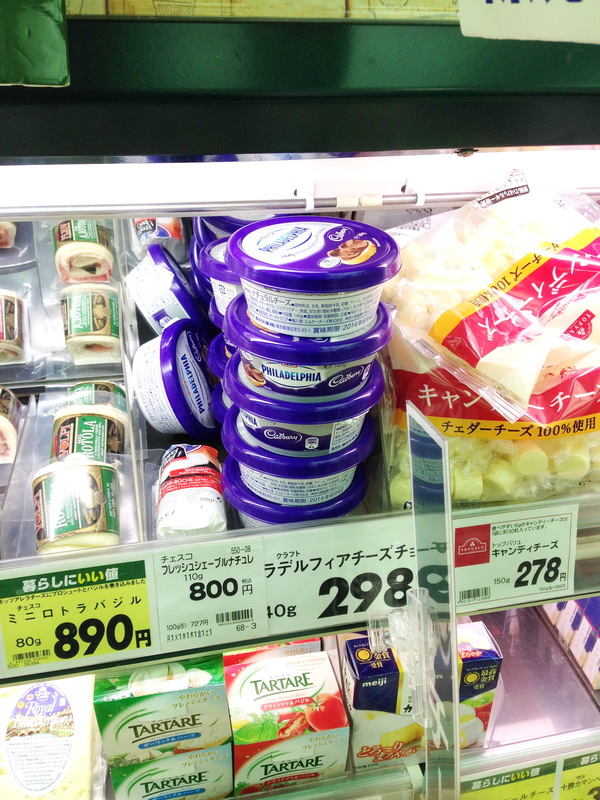 「チョコレートシリンジ」(500円) This is totally a dream come true for children! Think about being able to shoot all that sweet stuff directly into your mouth! Don’t hesitate to post some comments if you have gone there!